As the world moves aggressively towards embracing clean, renewable energy resources- the day when fossil fuels get replaced, seems to be fast approaching. Key players in the industry are currently amassing more capacity for renewables every year than coal, natural gas and oil combined. Now, top that up with issues like plummeting oil prices and coal plant closures and the signs are clear- renewables have started to topple the dominance of fossil fuels. Renewables marred all the existing figures last year on several pointers including overall investment and new capacity development. Investments reached a whopping USD 286 bn and for the first time renewables contributed more than half of all added power generation capacity. This upward growth trajectory visibly highlights how far renewable energy has come from the days when it was all too readily disregarded as a niche segment. Going forward, renewables are expected to disrupt the existing patterns of global energy generation, consumption and efficiency. The following are the top 3 trends, which confirm that a healthy transition to a low carbon economy is well underway. The solar industry smashed records in established markets like US in 2015 mostly because of declining solar panel prices. This rapidly enhancing cost effectiveness is a result of flexible financing, reductions in technology prices and growing network of financers and solar installers. According to Bloomberg New Energy Finance, solar energy will account for a staggering 35% of the total new power generation infrastructure developed over the next 25 years. That sums to almost USD 3.7 tn that will be invested on both large and small scale solar projects, globally. With more and more public policies in the pipeline and declining costs, wind markets worldwide are currently experiencing massive growth. Widespread integration of sophisticated weather analytics are helping wind energy firms to properly apprehend the variable nature of wind and precisely predict the amount of energy that can be stored or redirected into the power grid. Emerging nations like China is currently producing more electricity from wind farms than from nuclear plants by focusing on advanced service concepts like remote diagnosing and weather analytics. The country is poised to achieve its 2020 wind power target of 200,000 megawatts. As a perspective, this would be enough to satiate the annual electricity needs of Brazil! The majority of the global powerhouses are developing stringent energy policies to reduce fossil fuel reliance and encourage renewables adoption. 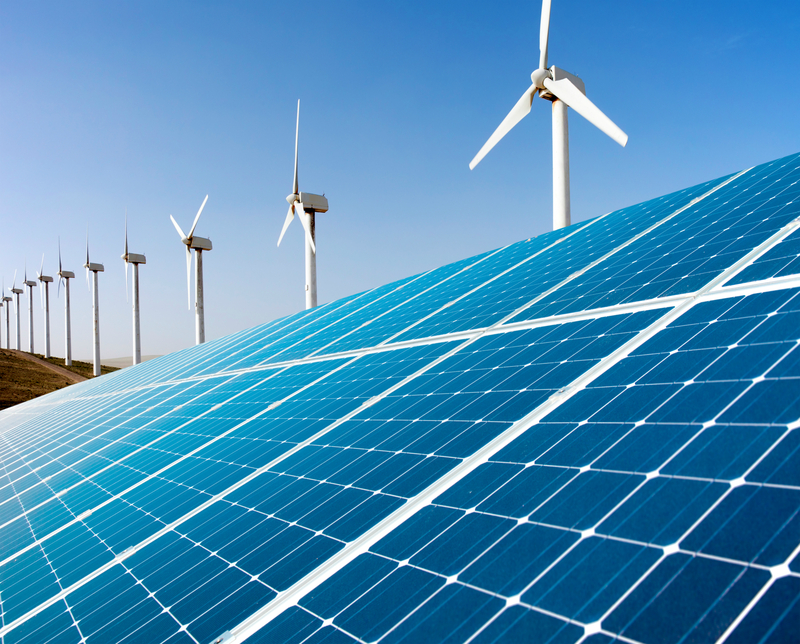 Among them, regulatory strategies like power purchase agreements and feed-in tariffs are ensuring a steady revenue stream for renewable energy projects worldwide. Apart from this, financial support instruments like tax and non-tax incentives are also being deployed globally to lower the costs of business. Almost 80 countries- half of them still developing, are utilizing any one of the above mentioned mechanisms to promote more investments in renewables. Policies that support the rapid adoption of renewables are comparatively more effective in developed markets boasting favorable business environments. However, to channelize the transformation to nascent markets, governments need to focus more on creating a level playing field for more investment in renewables through stringent carbon pricing and removal of fossil fuel subsidies.